A Scottish start-up is bringing its innovative new range of meat-alternative products to children’s soft play venues across Scotland to show young people that meat-free products are delicious and good for the planet. 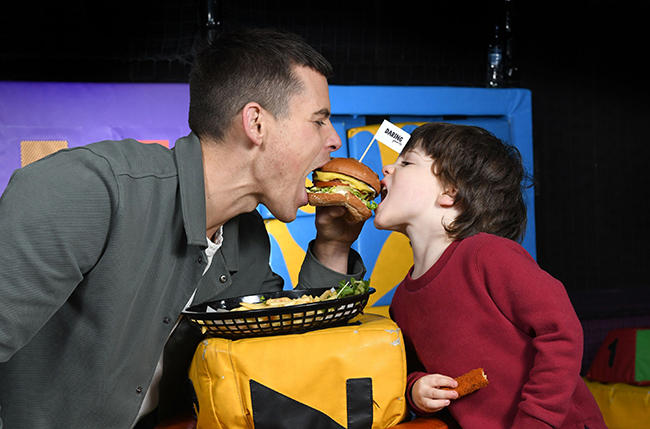 Scottish start-up DARING Foods is bringing its innovative new range of meat-alternative products to children’s soft play venues across the country, thanks to a deal with Wonder World Soft Play. 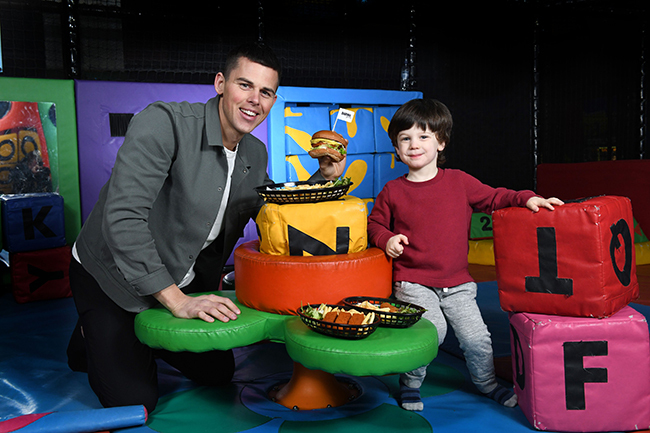 DARING Foods products launched in Wonder World’s soft play centre in Glasgow earlier this month and will launch across the remaining four sites in March. The range of meat-free products, which includes Cluck-Free nuggets and Moo-less burgers, is already available or purchase in over 35 restaurants in Scotland and will soon be rolled-out at a number of educational establishments, including Dundee and Angus College, to give students and young people more meat-free options at lunch. Founder Ross Mackay knows the struggles of finding vegan food after he found options were limited at Wonder World’s Glasgow centre which he frequently visited with his nephew. Speaking about the new range in a statement sent to Vegan Food & Living, Mackay said: “Adopting a plant-based diet is the best thing a young person can do to mitigate the pressures of global food production. Our products use just a fraction of the water and land in production compared to animal meat. “More and more people are making a shift towards eating less meat. We provide delicious, nutritious and sustainable food that vegans, vegetarians and meat eaters can enjoy together. Aidhan Higgins, Executive Chef at Wonder World Group has been a chef for more than 15 years. During that time, he’s seen a massive change in consumers’ appetite for plant-based food. He said: “The diet of our customers, and society in general, is changing. More and more people are going meatless and exploring alternative options, whether it’s a flexitarian, vegetarian or vegan diet, and that will continue to grow. We need to react to these changing times.